Then, we found out about this pair of lobster claws! These lobster claws do what we could only dream of. They transform any pair of human hands into a pair of wicked crustacean pincers. 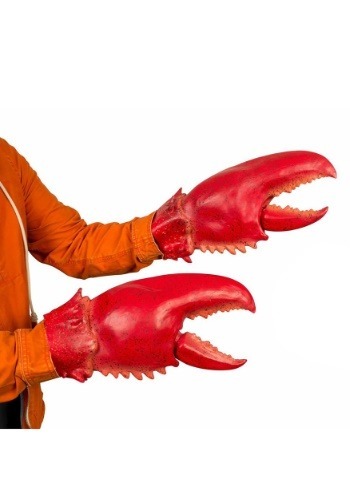 Crafted to recreate the monstrous claws of a giant lobster, this handy accessory fits over your hands. It comes in a set of two (one for each hand) and each one is molded for a realistic look. It even has spikes molded into the wrists for a truly crab-tastic look. You can sleep soundly just knowing that you have these lobster claws. You will never have to worry about having human hands again since you can slip these things on any time that you start feeling a little too ordinary. It also makes for the perfect finisher to any seafood or oceanic look!